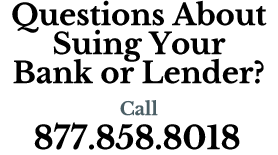 Business owners frequently get angry and frustrated with their bank but rarely do they sue. There is a perception that banks always win. While they may have deep pockets, courts and juries are increasingly unsympathetic to banks. This is especially true when banks fail to act in good faith and when they over reach. It is hard to find an experienced lawyer willing to sue a bank. Most of the true lender liability lawyers work for larger firms and are often conflicted out of a case because they or their law firm represent banks. Not us. 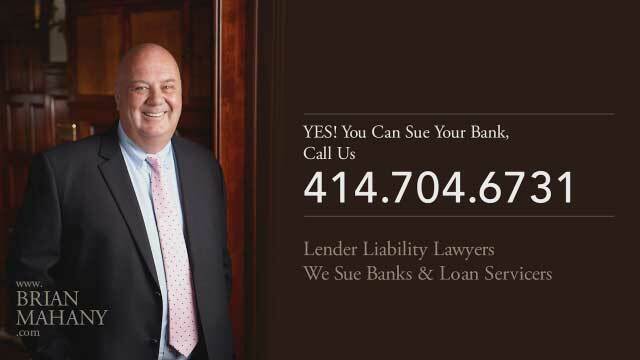 We limit our representation to business and individuals who have claims against banks. 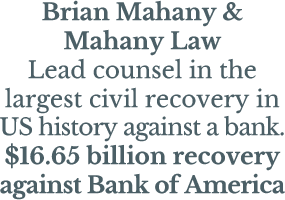 We also take cases against commercial loan servicers such as LNR, CWCapital and C-III. Finally, we take cases brought by whistleblowers against banks and cases brought by victims of Ponzi schemes and fraud. Cases against banks can be won if you have the right lawyers and facts. Give us a call to discuss your case. All inquiries and initial consultations are without charge and always confidential.